Jimbo's Front Porch: Rug Hook etc. Here's a Q hook i made for Ann. 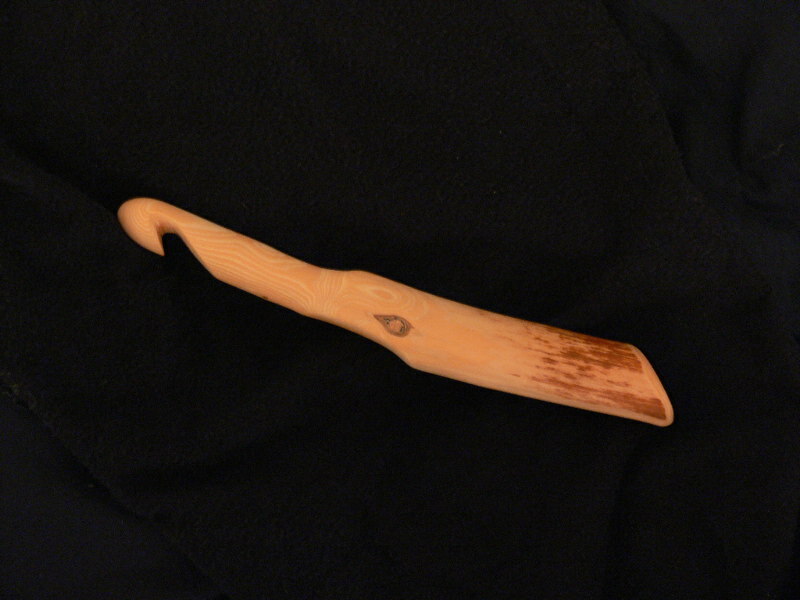 I selected the wood for the gentle curve and the resulting grip, which seems to be much more comfortablet than a straight hook. Even though the diameter of the handle is a bit larger than the throat area, i'm thinking the comfort should be ok if not better. Doing this in a rush on accounta i have to go to work. What a great woodworking store Woodcraft is. I never knew they made so many different carving tools! glad you are liking work even though it cuts into hook time !